The Cantonal Court in Tuzla has sentenced Jerko Ivanković Lijanović, the former FBiH Minister of Agriculture, to prison and him to repay some of the grant money he illegally distributed. The judiciary has yet to investigate all reports about illegalities in the approval of subsidies and about buying votes with taxpayer money. The Cantonal Court in Tuzla sentenced, pending appeal, the former FBiH Minister of Agriculture, Jerko Ivanković Lijanović, to nine years in prison and ordered him to return around 650,000 KM he illegally acquired. According to the verdict, he masterminded a criminal group that demanded half of a grant it paid to a farmer. Along with Lijanović, his party colleague from the People’s Party Work for Betterment and former advisor, Stipe Šakić, was sentenced to a year in prison and fined 18,000 KM. At the end of 2015, the Cantonal Prosecutor’s Office in Tuzla filed an indictment against Lijanović, Šakić and two other party members on charges of organized crime and abuse of office. A third defendant earlier pleaded guilty. Lijanović in his capacity as minister decided who would get grants, while others fleeced money from farmers on the ground. They would keep 10 percent and give the rest to the minister. Farmers who refused or stopped giving money were denied grants later on. One was a witness against the minister: Fahrudin Delibajrić, the father of a co-owner of “Kornišon Bosnia“, a Kalesija firm. Lijanović’s colleagues got in touch with him and the other co-owner, Ahmet Hublić to ask for money. Delibajrić said that the sum that Lijanović has to pay back after the verdict is a trifle compared with the millions that he and his group had extorted from farmers for years. “Everyone had to give. Because, who wouldn’t give – wouldn’t get,“ Delibajrić told reporters from the Center for Investigative Reporting in Sarajevo (CIN). Three members of the group admitted to taking money from farmers and sharing it with Lijanović. Mersed Šerifović, the party’s vice-president and the president of the party’s Cantonal Board in Tuzla, was sentenced to two and half years and fined 18,000, while the authorities confiscated from him 50,000 KM of illegal gain. The same prison and monetary punishment was meted out to Lijanović’s advisor from the Federation of Bosnia and Herzegovina (FBiH) Ministry of Agriculture, Suad Čamdžić, from whom the authorities confiscated 70,000 KM. 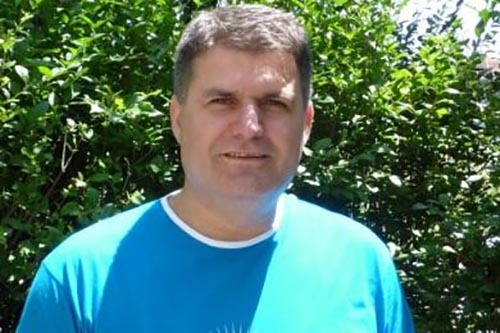 Tuzla Canton minister of Agriculture, Waterworks and Forestry, Edin Ajanović, was sentenced to a year in prison. Lijanović denied committing a crime. Asked about the condemning reports from five institutions, testimonies from more than 400 witnesses at two trials at the state and Tuzla level, he said it was all a set up by political competitors, mainly the Croatian Democratic Union of BiH. “Kornišon Bosnia” from Kalesija buys cucumbers from local producers and packs them in its factories before selling across the EU borders. The company twice received export grants totaling nearly 380,000 KM. However, Delibajrić and Hublić had to give half of that back to Lijanović’s colleague Šerifović. Delibajrić recalls how it happened. “Exactly half, to the penny,” said Delibajrić. He and Hublić accepted the extortion. “From that first subsidy, at the time, we took a dividend personally from this Kornišon and gave it. Gave our own money – 108,000 KM. And now, there’s no dividend,” Delibajrić told CIN reporters. Hublić described the money exchange to prosecutors. After a call from Šerifović, he would come in front of Dramar and would leave an envelope on a seat of his car containing between 10,000 KM and 15,000 KM. They paid out the whole sum in this way over the following nine months. They did similarly the following year when they got another grant. After the third grant for 350,865 KM was approved in 2014, Šerifović called them again to pick up half the money. This time the pair refused to bow down. “I did not want to do it again. I’ve given it it twice to him. And when he asked again, I said that I would not give. He said ‘you will not get any’…and I said fine,” said Delibajrić. “Kornišon Bosnia“ has not received subsidies since. Tuzla Court’s verdict established that Lijanović’s group took money from farmers in Tuzla Canton, Visoko, Kiseljak and Mostar. 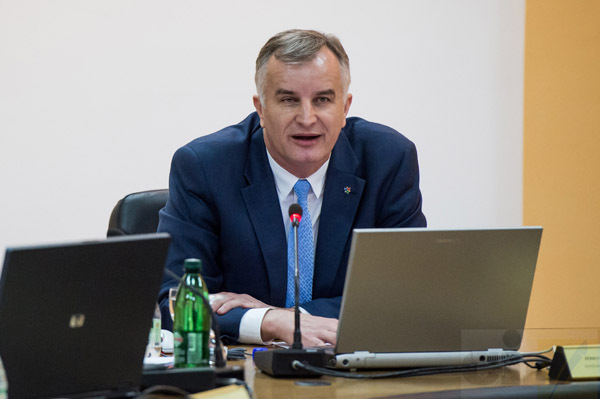 In August 2012, the FBiH Government appointed a former advisor to prime minister, Ivica Mladina, as the head of a Task Force to look into farmers’ allegations about the misuse of money. 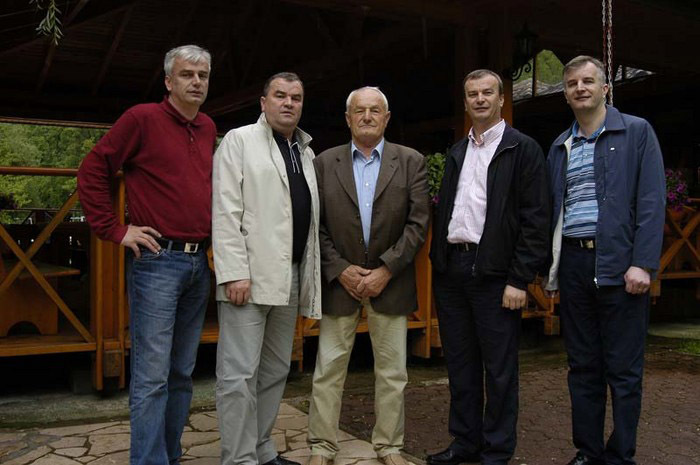 Along Mladina, the group was made up of Lijanović’s advisor Šakić; a representative of the FBiH Ministry of Finances, Marko Musić, and representatives from the Board for Agriculture, Water Works and Forestry of the FBiH Parliament, Enver Mehmedović and Hajrudin Bećirović. Mladina told prosecutors that the Task Force requested records on grants from the FBiH Ministry of Agriculture. However, Lijanović and Šakić delayed nearly two months in complying. Thus, Mladina started visiting farmers he knew had received grants. He said that people unknown to him started offering him bribes not to publish a report and he received anonymous death threats. When the Task Force obtained the records from the Ministry it completed a report and sent it to the FBiH government. Mladina said that then Prime Minister Nermin Nikšić saw it, but did not put it up for discussion on the Cabinet’s agenda. Instead, Nikšić asked Mladina to keep the document to himself. 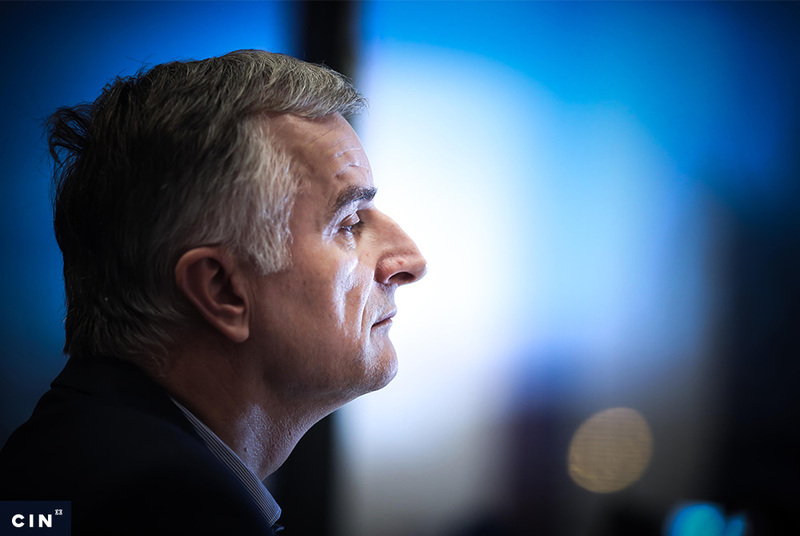 In December 2015, Nikšić told prosecutors that he did not submit the report to the government because he knew that “no agreement about it could be reached.” He told prosecutors that the Cabinet was divided between two nearly equal blocks and he decide to wait until the political circumstances improved. The Task Force reviewed 61 payment slips to individuals and firms that received capital investment grants and concluded that the wording of the public call for applications was vague and not in line with the regulations. In 2012, the FBiH ministry put out the call for applications that defined eligible farmers as those who invested in their farms or livestock between mid-2010 and the end of 2011. They were offered a 25 percent subsidy on the cost of their projects. The Task Force soon established that people who did not own facilities and farmers who invested into their buildings a long time before the period covered by a grant also got subsidies. On top of this, they did’t even have to prove their investment with receipts. It was enough to submit an appraisal about the value of the investment. The Task Force could not find regulations authorizing Lijanović to allow appraisals as a proof of investment. On top of this, the ministry’s staff paid out grants without doing any field work and officials even asked some clients to provide paperwork after a call for applications was closed. Mladina told prosecutors how only around 10 percent of the reviewed grant recipients met the conditions. Farm Spreča also received a capital investment grant of 354,822 KM to buy cows from Milkos. Both firms are owned by Teloptic LLC Sarajevo that also received a grant. Teloptic received 775,299 KM grant for procurement of equipment and reconstruction of Farm Spreča. FBiH auditors stated that giving Spreča a grant for buying cows was not justified. Milkos’s director Adin Fakić told CIN that he could not comment on auditors’ remarks in detail as these events took place long time ago. He said that the authorities inspected Farm Spreča and never asked for the grants to be returned. The FBiH government’s Taks Force completed the report on the irregularities in distribution of capital investment grants in March 2013. Since it could not get it on the Cabinet’s agenda, Mladina put it up for discussion on the FBiH Parliament’s special session dedicated to agriculture seven months later. The Parliament ordered the FBiH government to review the report within 30 days and inform law enforcement agencies and inspections. However, the FBiH government did this only in August 2015 when it also ordered the Ministry to look into the remaining 420 applications for capital investment grants which were still unopened. In April 2017, Minister of Agriculture Šemsudin Dedić told the FBiH MPs at a special session on agriculture that the government voided 68 grant decisions, some of which had to do with capital investments. The courts handed down 54 guilty verdicts and farmers had to pay back into the budget around 200,000 KM. As a minister, Lijanović used taxpayer money to buy votes in the general elections as CIN has previously reported. Inspectors from the Federation Police Administration (FUP) described how he organized 56 collaborators who paid people with grant money to vote for the party. This helped the party come into power in 2010. The activists lobbied poor people promising them 100 KM for a vote in favor of the party’s nominees. At the time Lijanović became a minister, voters had not received their remuneration. In the meantime, party activists on the ground instructed voters how to send in requests for one-time grants to the ministry — or were filling them out on their behalf. Once in office, Lijanović amended the Program for Agricultural Incentives by introducing one-time grants without checks and balances. In this way, almost 3 million KM was dispensed to people who were supposed to vote or agitate for Lijanović’s party. Stajka Aukst from Zavidovići received instructions how to send a grant application. She voted for the party and received the grant for an orchard even though she lived in a condominium and did not grow fruit. Hundreds gave similar statements to the police. The FUP had filed criminal complaints against Lijanović and his collaborators. Evidence consists of testimonies from at least 400 persons from FBiH and material evidence such as payment slips and advice on how to vote. The complaint was sent to the Sarajevo Cantonal Prosecutor’s Office, but those allegations have never been investigated because it has not been established which court was competent to take upon the case. Lijanović also gave grants to firms connected to his family. 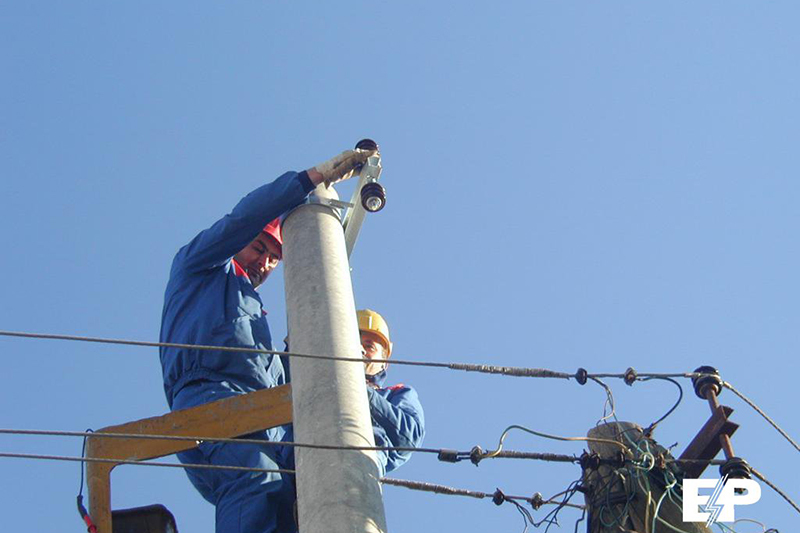 Over three years, the Ministry’s budget paid 2.7 million KM in export grants to firms “ZD.I. Produkt“ and “Alpen – Mit“. Officials from the BiH Indirect Taxation Authority have alleged that members of the Lijanovićs family set up these firms in order to evade paying value added tax. Also, they used these firms to continue their meat processing business once accounts of their previous company were frozen because of unpaid tax obligations. 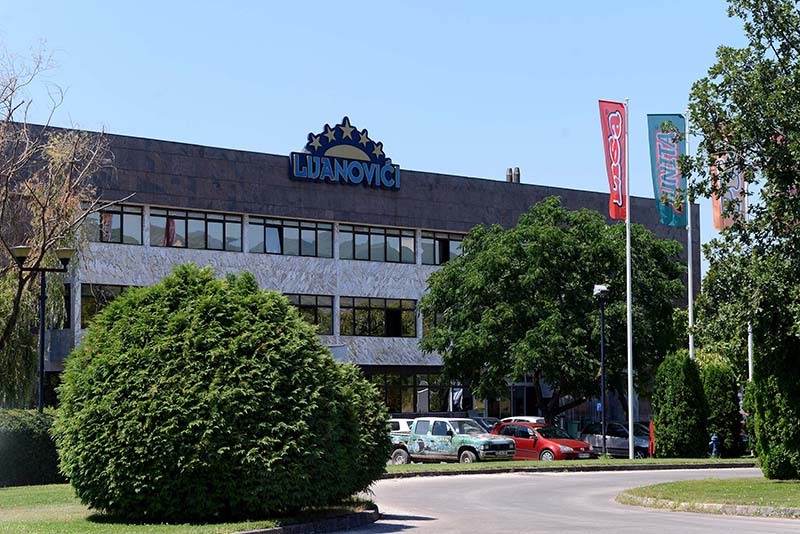 All of their companies worked out of the same facilities of the Lijanovići Meat Industry, employed the same workforce and used the same equipment and goods. 2) Dalida Burzić nikada nije ništa poduzela i čuva brojne krivične prijave protiv Lijanovića i njegove mafijaške mreže ispod stola dok se situacija ne stiša i zastari. Neminovno se nameće zaključak da su i Nikšić i Burzić dobili veliku lovu i dio su tala, o čemu poljoprivrednici i upućeni dobro znaju.